The wind blows across the vast rolling plains of the Maasai Mara, occasionally broken by a lone acacia tree. The grasslands have been a sanctuary for a wide variety of animals that call the Mara home. The Mara can be a very hostile region for humans, with water being scarce and the constant threat from hippos (hippos cause more harm to humans than other animals as they are territorial), elephants, lions and leopards. 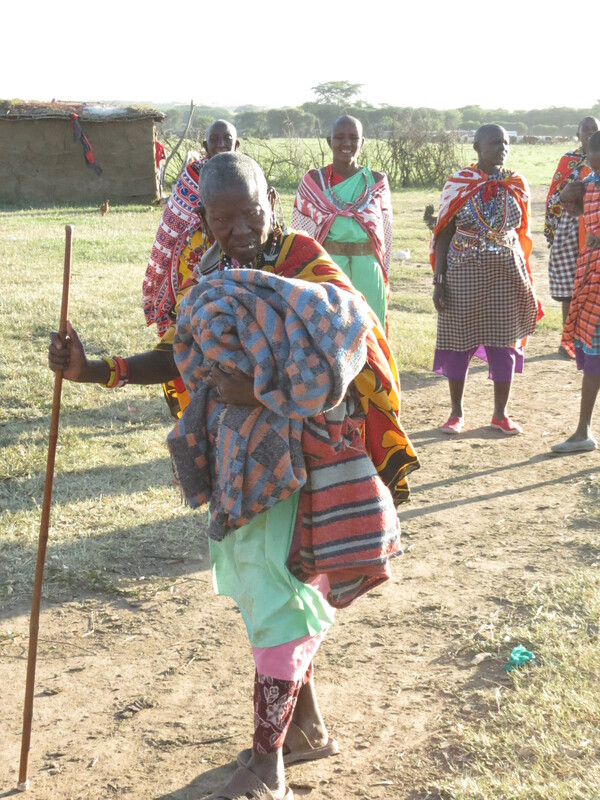 The only tribe that has beautifully coexisted with the wild in the Mara are the people from the Maasai tribe. The image of a Maasai warrior walking across the grasslands with a red blanket or shukha is quite haunting and powerful. 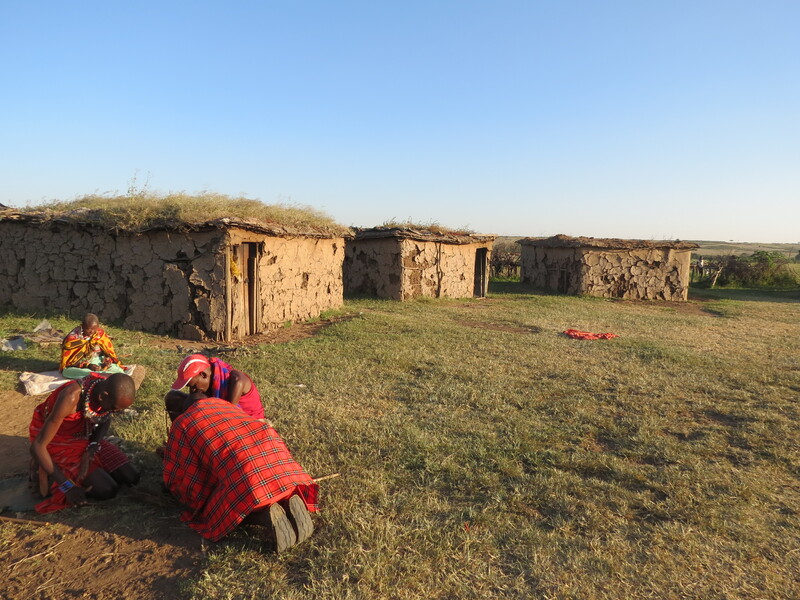 On our trip to Kenya, we made sure that we could visit a Maasai village. We reached the Mara later in the afternoon after an eventful and bumpy ride down a dusty kaccha road. We had packed boxes of lunch, which we could not finish and our driver recommended that we save the food for the kids in the village whom we planned to visit that day. We passed a couple of villages in the Mara and finally stopped outside a cluster of mud huts that had been built around a circle. The children filed out of the village and a few men and women came forward. One of the men who was the chieftain’s son spoke English and said that the men were out for the day but that we were welcome to visit. The Maasai villages that are open to tourists charge a small fee upfront for the visit, which we were more than happy to pay. Tourism is a main revenue source in the Maasai Mara. The chieftain’s son introduced himself as John and his friend as Moses and said that we were welcome in his village. The women gathered around and sang a traditional welcome song, which was quite sweet as the kids distributed and wolfed down the food that we had brought. John then proceeded to show us how to light a fire using his sword as base and wood but the wind kept interfering with his plan. He then invited us into one of the huts which was pitch dark inside save for a fire, which was used for keeping warm and cooking though there wasn’t much to cook that day. There was a raised platform inside the hut on both sides which was covered with a straw mat and used as a bed. Since it was dark inside John used the flashlight on his cell phone to illuminate the hut, which came as a surprise at first. We also found out during our safari that Airtel had excellent range in most parts of the wild Maasai Mara–but not in my own living room. John told us that the village was made of two families, that a Maasai warrior typically marries after he reaches the age of 30, and that they are polygamous. Women generally marry as young as 15. He then asked us our ages and pointed to another lady with a young one tied to her back who he said was my age. 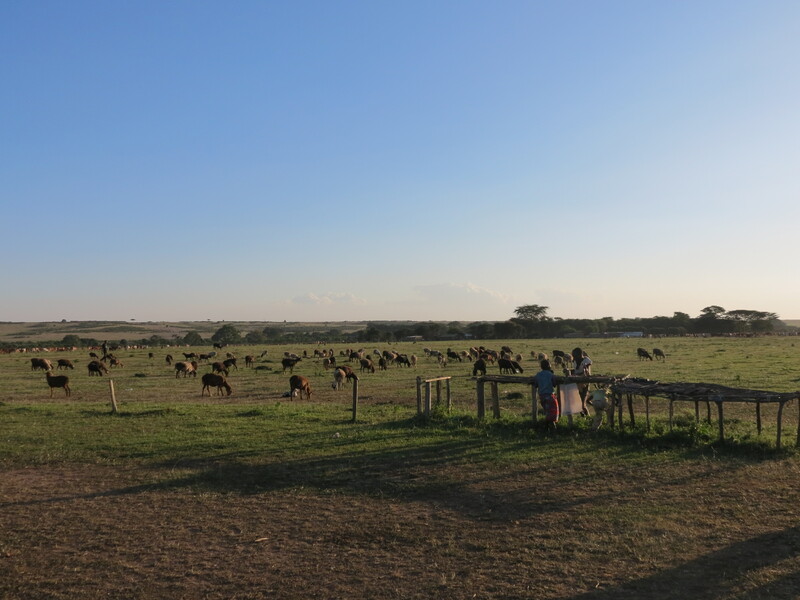 We went outside to look at the cattle, which are a source of pride for the Maasai. As many as 40 cows and sheep were grazing away on the grassland. John looked at us and asked how many cows we owned, to which the embarrassing answer was none. He seemed very amused by the answer. He then, in jest, offered 10 cows for my toddler. The Maasai drink the blood of cows along with water as sustenance. The Maasai are proud warriors who continue to hunt though the Kenyan government dissuades them from hunting. 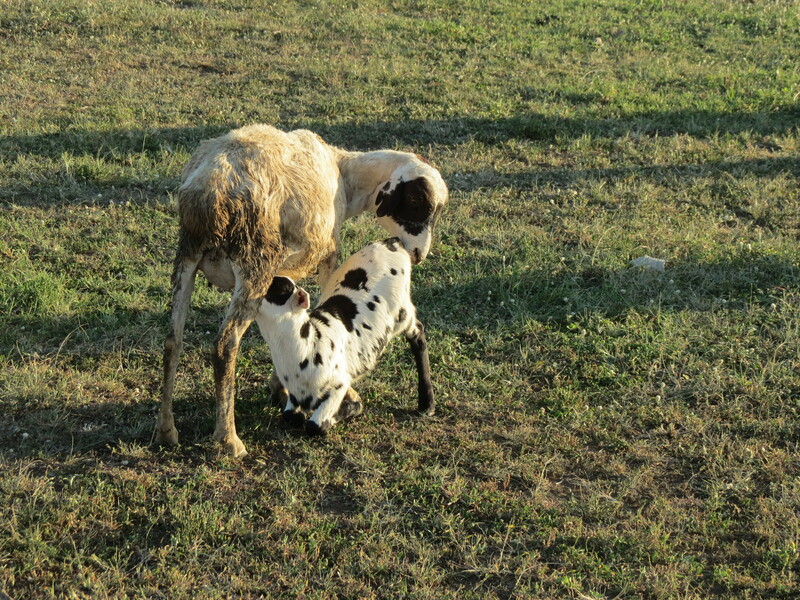 If a wild animal kills their livestock, the government offers them compensation. Our guide asked John where the lions ‘simba’ was that day and he casually pointed over to a stop on the plains. 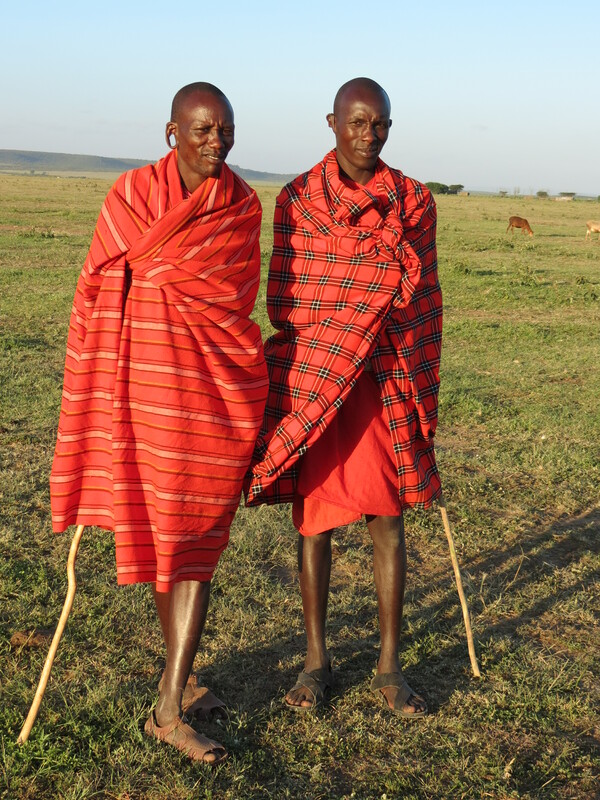 The Maasai definitely are one with the land they live in and many of them also act as safari guides for the tourists. The women make beaded jewelry and other souvenirs to be sold to tourists who visit, though bargaining is a expected by everyone. 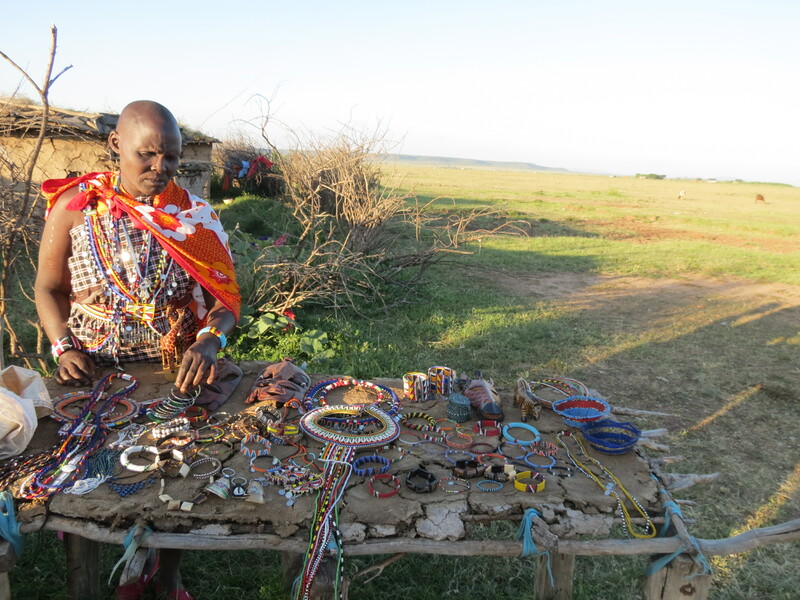 The Maasai have embraced the good that tourism brings them while still remaining true to their origins.